Are You At Risk of COPD At Work? The workplace can be a dangerous place, especially in certain industries where there is a high risk of accident and injury. While many focus on the dangers of an accident occurring when they consider the possibility of a workplace injury, there are also other ways that a worker could develop medical problems while doing his or her job. For example, rather than suffering a sudden injury because of an accident, workers could develop medical problems due to ongoing exposure to toxins or chemicals at work. One medical problem that many workers develop is called Chronic Obstructive Pulmonary Disease, or COPD. COPD kills more than 120,000 people each year and causes many others to experience breathing problems, fatigue and limitations on their ability to work or to do normal routine activities. Our Watertown workers’ compensation attorneys urge every worker and employer to be aware of the potential dangers of COPD and to take steps to stay safe and avoid developing this condition. COPD is a respiratory and lung condition that normally results in the affected individual suffering from both emphysema and chronic bronchitis. Chronic bronchitis causes a persistent and ongoing mucus-filled cough while emphysema causes the lungs to deteriorate more and more over time. COPD sufferers may also experience other respiratory problems as well and typically have significant breathing difficulties. Breathing in any of these or other toxins can cause you to develop COPD, especially if you are repeatedly exposed to airborne particles at work. Who is at Risk of COPD? All of these workers routinely spend their days in environments where they have to breathe in contaminated or dirty air. For example, coal miners may breathe in coal dust on a regular basis as part of performing their daily work. 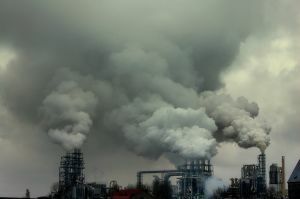 If you have developed COPD as a result of exposure to air pollution, chemicals, dust, fumes or toxins at your work, you may be able to make a workers’ compensation claim. If you are successful with a workers’ comp claim, your employer’s insurer will have to cover your medical costs and any lost income or wages you experience as a result of your COPD or treatment. Your employer’s insurer will also have to pay disability benefits if you can’t work or if your ability to work has been limited. You will, however, have to link your COPD conclusively to your job if you want to be eligible for workers’ comp. A lawyer can help you to gather the evidence needed to prove your job caused the COD. If you or a loved one has been injured or killed on the job, call the Law Offices of Jeffrey S. Glassman for a free and confidential consultation to discuss your workers’ compensation case — 1-888-367-2900.